I’m trying to wrap my mind around something. There is nothing wrong with that statement, right? Well…when you use it to justify why you eat unhealthy foods, and don’t exercise, than yes…there is something VERY wrong with that statement! So let me get this straight… the way to enjoy life is eating fried, processed, high-fat, low-nutrition, artery-clogging foods and being sedentary? I guess I must have missed the boat on this one! We all know what happens to people who spend their lives like this right? 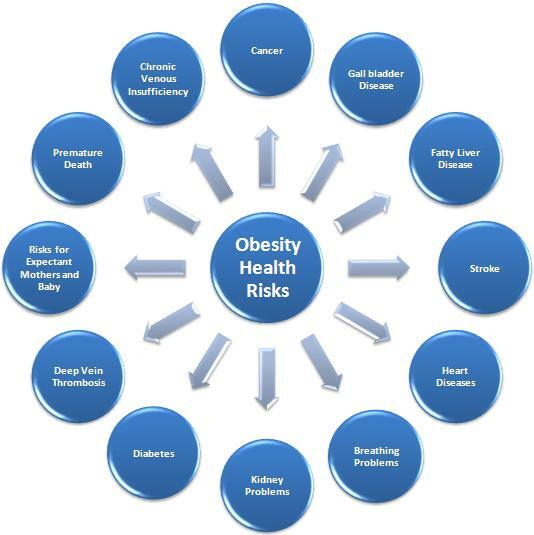 Poor nutrition and lack of exercise puts you at risk for just about every illness, ailment and disease there is! Let’s name a few, shall we? So how does one enjoy one’s life when they have to deal with any ONE of these conditions or even SEVERAL? And, is it fun to: take a bunch of medications? see your doctor all of the time? give yourself shots? struggle to get around? have difficulty completing necessary daily activities? be tired all of the time? have trouble sleeping? deal with aches and pain? watch your kids head down the same path? Did you know that 25% of kids ages 5-10 have high cholesterol, high blood pressure and other early warning signs for heart disease? One in five young people are obese and one in three are overweight. I’m sorry…that just doesn’t sound like enjoying life to me! That sounds like a lot of heartache and suffering! All so what?! We can eat whatever junk we want to, and sit on the couch, watching other people DO what we CAN’T!? Is the price we’re going to pay really worth it? Why not try to REALLY enjoy life! You may have to work for it a little, and it might be a struggle – especially at the beginning, but the REWARDS are long-lasting and life-altering! It’s at least worth a try, don’t you think? Most of those diseases are reversible, if you start changing some of your daily habits NOW! The sooner the better! 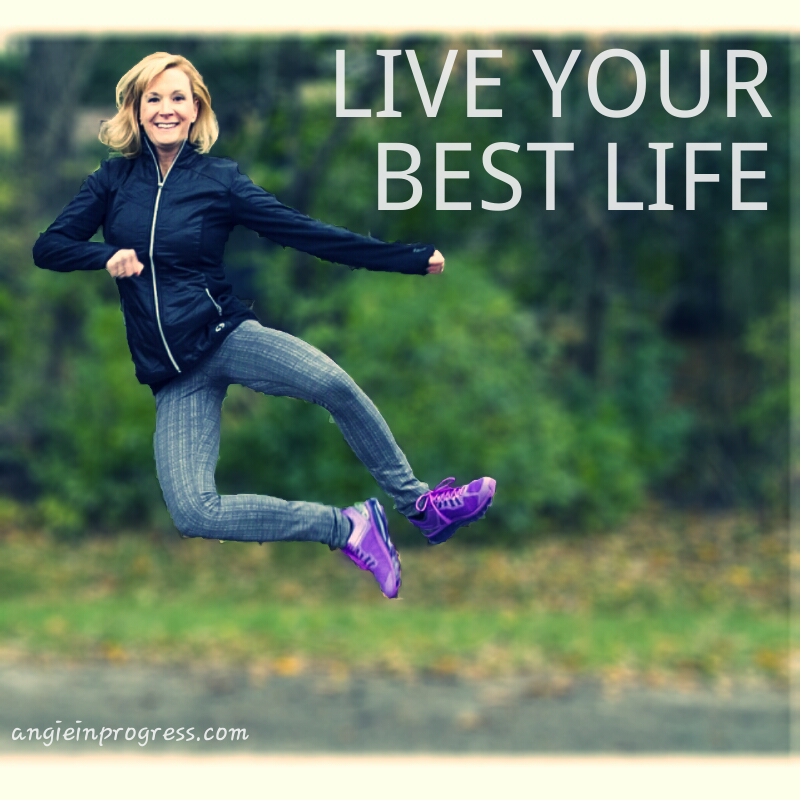 The formula is so simple: eat healthy foods, and move! That’s it! Start small, don’t expect to undo a life’s worth of bad habits overnight. You can begin by simply changing one small habit at a time. Set small goals first, achieve them, and set some new small goals. Replace processed foods with whole, natural foods. Instead of watching that t.v. show, take a walk. There are thousands books, articles and movies about how to get started. Ultimately, you just have to find what works for you, but the key is to just start. Little changes, compounded daily, will equal AMAZING results! And I promise you, life will be SO much more ENJOYABLE when you can truly experience it, and not just watch it go by. I would love to hear your thoughts about this topic. I don’t mean to belittle the real struggles that people have when it comes to health and fitness. I’m simply questioning the rationale, used by some, that this is how to enjoy life. May I suggest an alternative? Check out my monthly health & fitness accountability groups. Anyone, at any fitness level, is welcome. We’ll workout, eat healthy foods and keep each other accountable every day. You’ll get the support and motivation you need to stick with it and get results! If you don’t have a fitness program you enjoy, I can help you pick one that is perfect for you! Just fill out this application, and I’ll help you get started. Click HERE for the Challenge Application! *These individuals are working hard and truly ENJOYING life!